A moored sailboat, floats, reflected in the peaceful waters of a wooded inlet near Squamish, BC. In the distance the mountain town of Squamish is visible, with clouds and mountains beyond it. 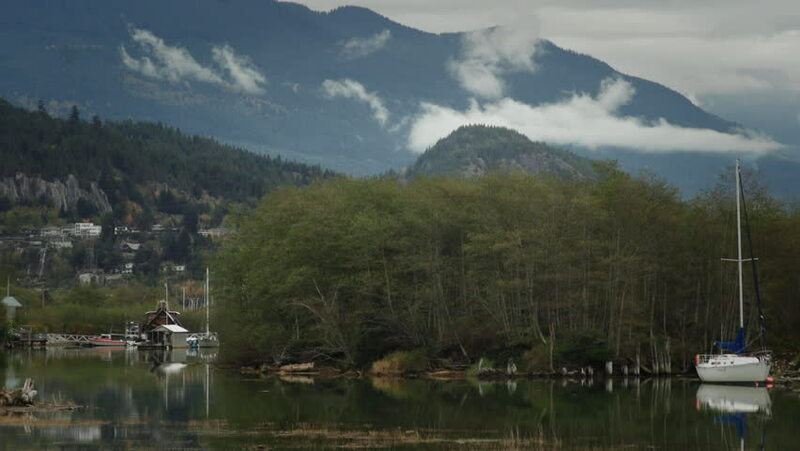 hd00:11A time-lapse of a moored sailboat as it floats, reflected in the calm waters near Squamish, British Columbia. Clouds churn and form over the mountains beyond.